Richard Lucas is a business and social entrepreneur. He supports the existing businesses he has invested in and/or led – which in all have over 500 employees in Europe, the USA and Asia and invests in new companies from time to time. He founded Cambentrepreneurs to support entrepreneurship among the students and alumni of Cambridge University worldwide, and actively supports the pro- enterprise eco-system, mainly in the UK and Poland, with initiatives like Krakow Enterprise Mondays, Open Coffee Krakow, the Project Kazimierz podcast and the richardlucas.com blog. 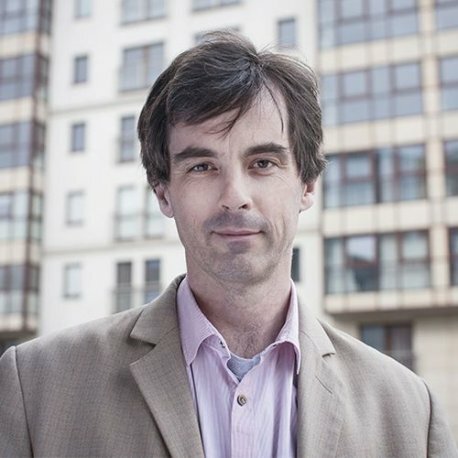 He is active in the TED and TEDx Community, holding the Licence for TEDxKazimierz. He is responsible for the global Wojtek the Soldier Bear initiative about which he gave a TEDxKrakow talk, and led the project to put a statue in Park Jordana in Krakow. He is one of the co- founders of Krakow Standup Comedy, and was part of Free Festival at the Edinburgh Fringe in 2017. He is a speaker and MC/host at events with a primary focus on entrepreneurship and leadership. He was granted Polish citizenship in 2017.